Last night we went to a Protestant Reformation party. It's okay to be jealous. Hashtag my friends are cooler than your friends. I made homemade Luther bread from a recipe my friend found online, and it actually wasn't terrible and I ate the leftovers for breakfast this morning. 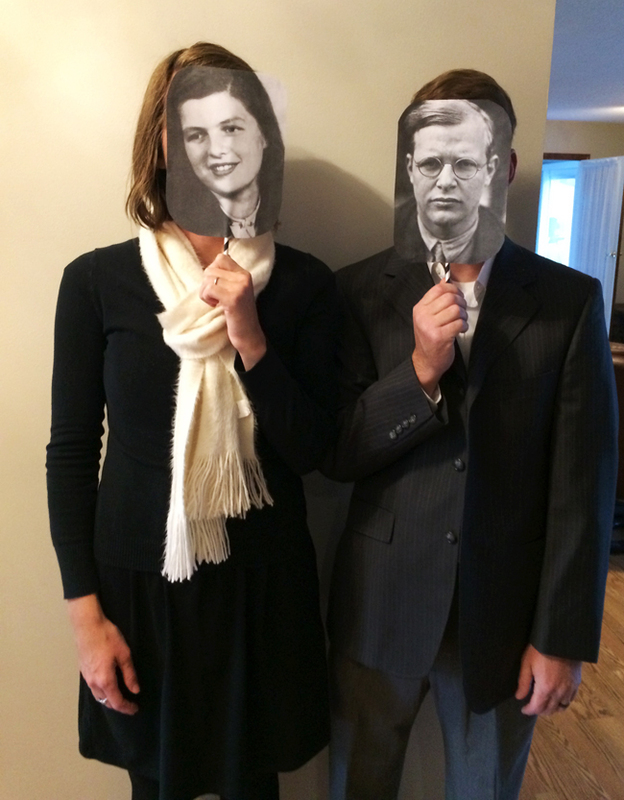 We were supposed to dress up, and Jordan and I wanted to go as Dietrich Bonhoeffer and his finance Maria, but in true form we thought nothing about costumes until four hours before the party. I really want to be one of those people who is creative and fun for costume parties (and Halloween), but I'm just not. Jordan went to five stores looking for small wire-rimmed glasses, but since stores like to, you know, carry things that people in 2017 will actually buy, I told him not to expect much. In the end I just printed their faces out, and we carried their heads taped to straws. We wore black and white because photos from back then are usually in black and white. Effort. Yes, I have a picture. You're welcome to pin it for later. It's so fun seeing all the Halloween costumes people posted on social media. I normally don't care too much for Halloween or (gasp!) October (minus the weather because hiiiiiii), but this year I was totally into it. 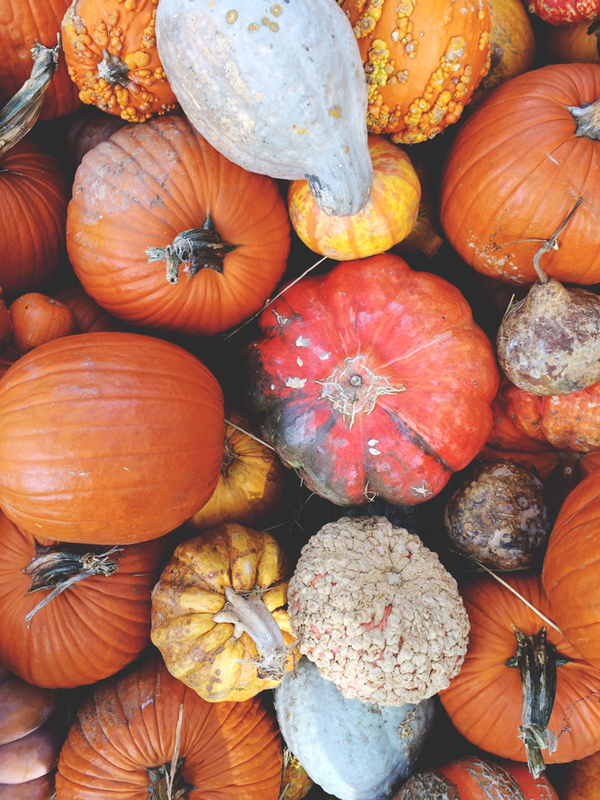 The pumpkins of all shapes, colors, sizes, and textures. 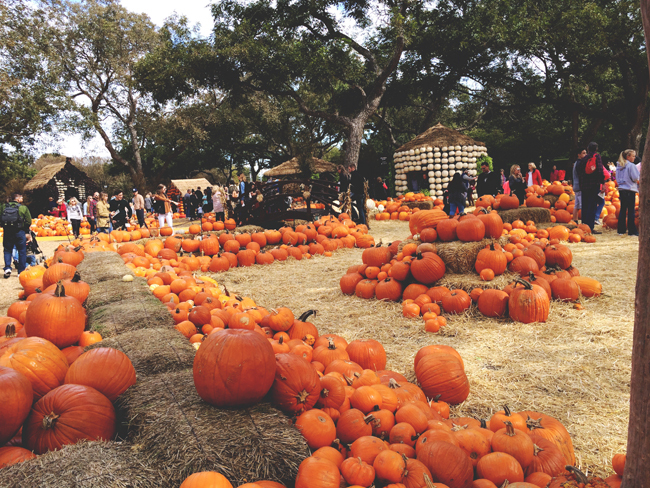 The trunk-or-treating and the fall festivals. 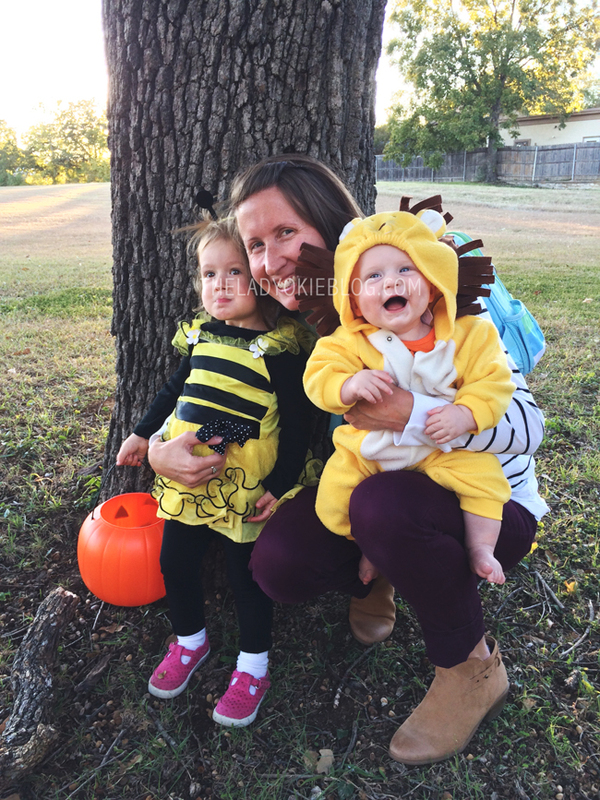 Plus seeing R in a busy bee costume and J as a cuddly lion was kind of the best thing ever. I bought both costumes at a consignment sale for $14 each, and we one hundred percent got our money's worth since we wore them multiple times! 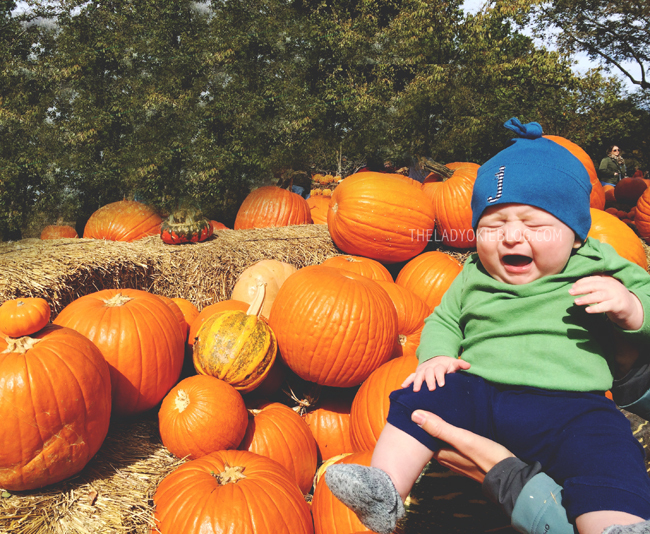 I know November and December are magical months, but I was actually loving October this year and I'm sad to see it go. Plus November is my last month of working from home. The last four months have absolutely flown by. This past weekend I took R and J to Texas to visit my parents. It was my second road trip with just the two of them by myself, and the drive there wasn't awesome, but we survived. It took a full hour longer than the usual three hours due to a diaper change, a nursing session, and a certain toddler who refused to keep her seatbelt buckled and kept undoing the chest strap and then getting her arms out and leaning forward. I had to stop five times to get her back in her seatbelt. Threats mean nothing because obviously while I'm driving I can't actually do anything to enforce my stern reprimands. We had such a lovely weekend! 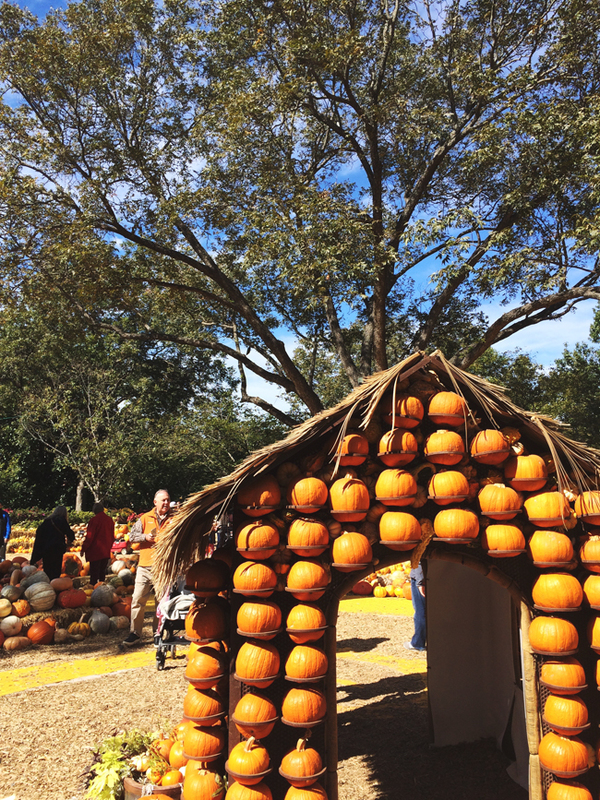 On Saturday we visited the pumpkin display at the Dallas Arboretum, which was a Wizard of Oz theme. We got there at 11 and stayed until 3:00! It was just gorgeous weather and both kids did pretty well. We had a stroller, but I ended up carrying J in the Ergo for the last hour or so. 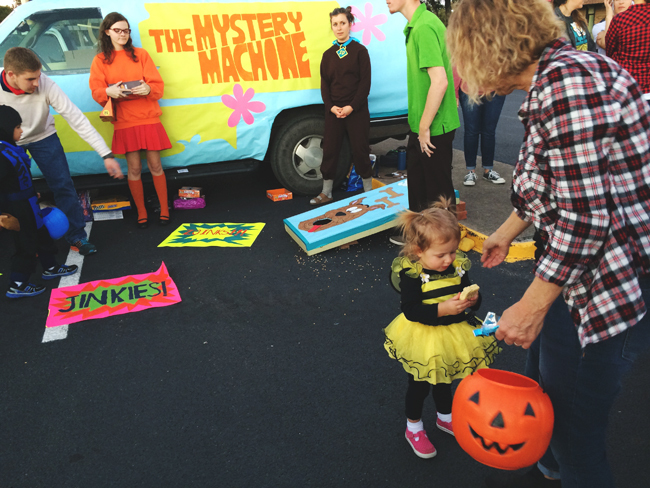 Then on Sunday we went to my brother and sister-in-law's church in Fort Worth, where they were doing a trunk-or-treat! The trunks were legit, and most people were giving away full-size candy bars! It was gorgeous weather, so we stayed way past bedtime and I had a blast with my busy bee and little lion cub. Plus two of the cars were giving out books. Books! Best Halloween candy ever. 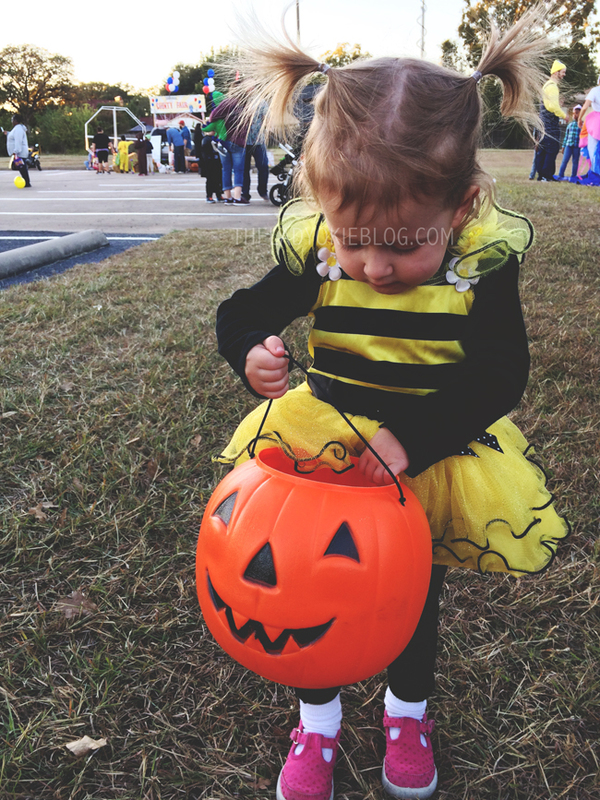 Our church had a fall festival on Tuesday for Halloween, but we ended up just staying at the Reformation Party (IT'S NOT NERDY IT'S COOL) and passing out candy to trick-or-treaters. R had such a blast. which was unexpected but adorable. She would stand at the door holding the bowl of candy and saying, "Here go, evbody." I'm a huge fan of this age where she's old enough to get excited about holidays but still too young to actually care about the mechanics of candy or gifts. I think that's about all I've got for the moment. Thanks for checking in even though I'm a super sporadic blogger right now. 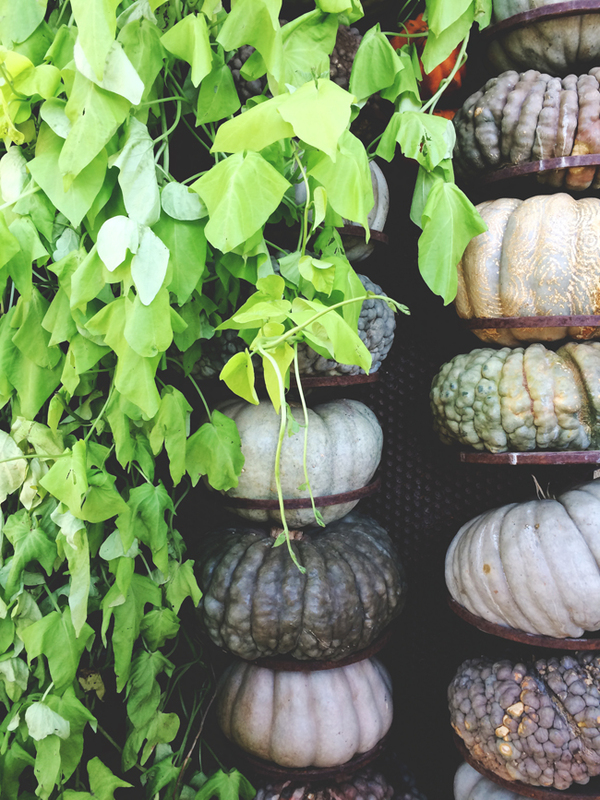 I hope you had a lovely October, and happy November! Yes I was so excited about the books! So fun! I'd never seen that before. Aww those costumes are so cute! My little (almost) 4 month old was the same exact lion :) My daughter, who is 4, was Belle so he was our little Beast! I love that! I didn't even think of doing a theme for costumes, but someone said R should have been Dorothy from Wizard of Oz. Maybe next year I'll think ahead! 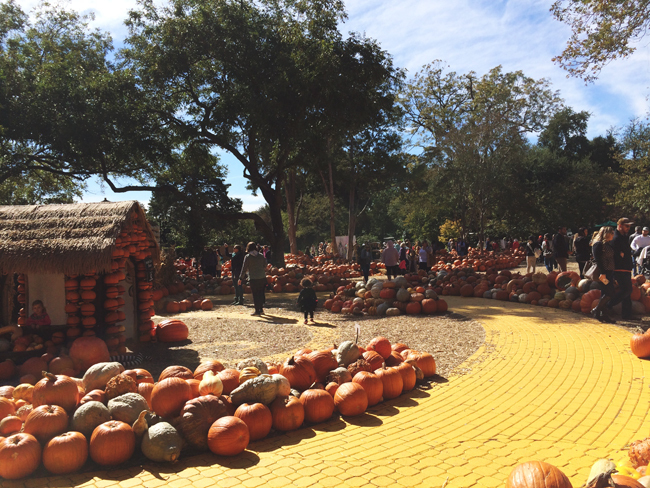 The Wizard of Oz pumpkin display looks really neat! The kids looks adorable in their costumes too. We went to a trunk or treat this year but there were only 5-6 cars! What's the point? Glad yours was a success! My son always cries "too tight" when we buckle him in but then when we loosen it up he's learned how to wiggle his arms out of the shoulder straps - SO frustrating! There were at least a dozen trucks and everyone had such fun decorations! It was so neat! Hey! Both of our girls dressed up as bees! <3 So fun. Also, handing out books for treats? YES, PLEASE! The kiddos look sooooo cute in their costumes!!! It sounds like you guys had a lot of fun! And that is such an awesome idea to give out books! I wish more places would do that! The kids' costumes are awesome! 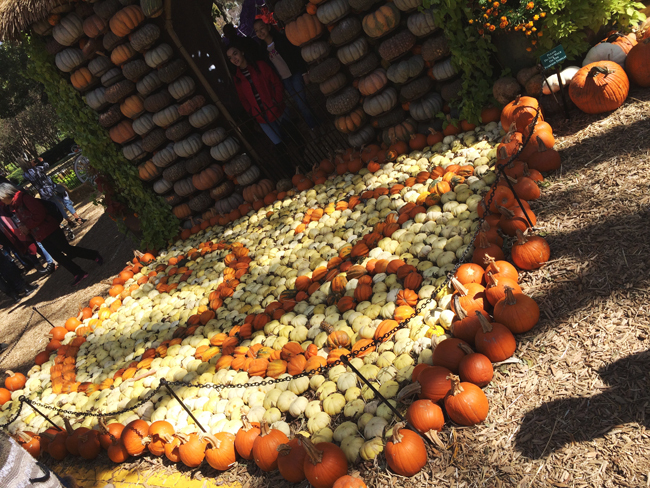 And I'm loving the pumpkin display!! That's too cool! Ummm... I will dress up and go door to door if people suddenly start handing out books. Yes, please! Our church had a Reformation Party, too! Hahahahaha! I agree- October was such a fun month! The unbuckling thing would STRESS me out. Has she continued to do that or was it just the one trip? What can you even do about that if you're on your own? 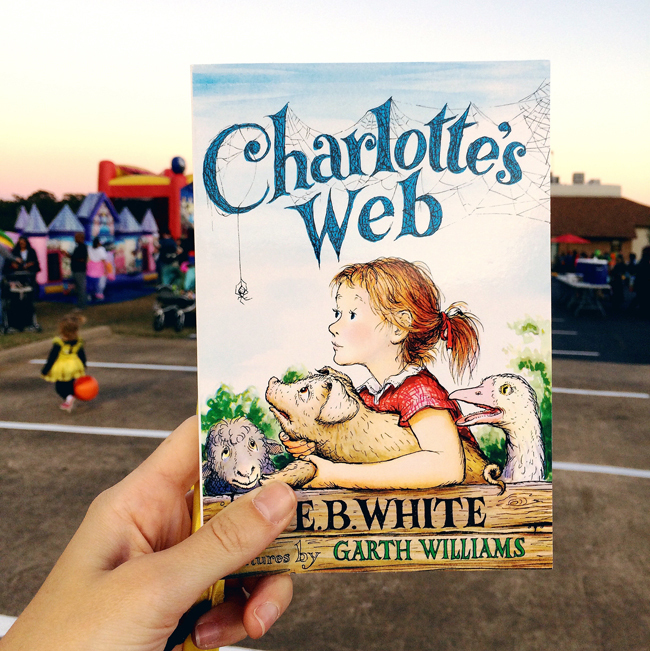 Handing out books for Halloween is awesome! I want to do that!